At an International Cinema Lecture, Mac J. Wilson introduced the Venezuelan biopic The Liberator and discussed its inaccuracies, attributes and controversial reception in South America. PROVO, Utah (Sept. 6, 2016)—On Sixth Avenue near New York South Central Park, also known as the Avenue of the Americas, stands an imposing horseman on a black granite pedestal. The inscription: Simon Bolívar—el Libertador. At a recent International Cinema lecture entitled “Biopic of a Dream: Bolívar and América,” Assistant Professor of Spanish Mac J. Wilson discussed the mildly controversial 2013 biopic, The Liberator, and the man behind the Bolivarian dream of independence and unification. “Bolívar, I would argue, is one of those problematic figures in history because of what he symbolizes for not only Venezuelans, but Colombians, and for any of those in the Spanish Americas that would like more transnational union” Wilson said. He added that the production of the film was in part a political decision, and that it was one of the most expensive Latin American movies made in recent history. 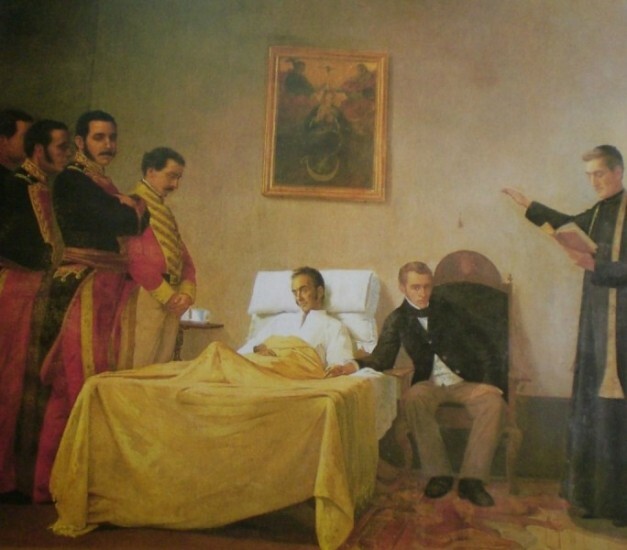 As the central founding father of the northern region of South America, Bolívar played a significant role in establishing the independence of Venezuela, Bolivia, Colombia, Ecuador, Peru and Panama during the early 19th century. He is a beloved figure not only in the northern region of South America, but throughout all of Spanish America as well. Chávez has also used Bolívar’s legacy by going as far as renaming the country of the Republic of Venezuela to the Bolívarian Republic of Venezuela. Chavez’s policies and legacy has led to what Wilson points to as civil unrest in Venezuela. Many Venezuelans feel that Chávez and his political allies like the current president Nicolás Maduro have appropriated the legacy of Bolívar for their own political and cultural purposes. Sylvia covers events for the Department of Spanish and Portuguese for the College of Humanities. She is a senior pursuing a double major in English and French with a minor in women’s studies. Image: La Muerte del Libertador by Antonio Herrera Toro. Image courtesy of Wikimedia Commons.